I used to think going to a large university would be the only way for me to branch out as a person. Surely, I’d be able to partake in all types of endeavors, become more open minded, and develop into the person I wanted to be. I was the gal who thought “big school, big school” constantly. I already had it mapped out in my head. I was wrong. But as they say “everything happens for a reason,” and before I knew it, I was coming to Austin College while my friends were going to the big school I thought was meant for me. Over the course of four years, the big school dream completely vanished from my head. My education at Austin College helped me become the person I am today. I was pushed, provoked, and painted with the colors of a young, budding mind. I was taught to look at things from different perspectives. I was encouraged to dream out loud—and dream big. Perhaps one of my greatest opportunities through Austin College was the adventure of study abroad. I went, I saw, and I conquered. I was given a taste of the real world and the chance to discover myself in a bustling city culture like no other: London, England. But perhaps the best part was that I was able to have this experience while some of my dearest friends also were experiencing study abroad opportunities around the world. We all were on a quest for something different for ourselves. One of the most important gifts Austin College gave me is my friends. 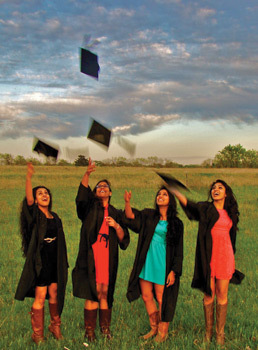 I met Anjana, Shruti, and Nagasri at the beginning of freshman year. Oddly, I had never had a group of friends that were South Asian and Hindu (like me). I was one of maybe two South Asians in my high school, and my best friends from that period of my life are Filipino, Vietnamese, and Hispanic. So, just imagine my surprise that these Austin College students are more than just best friends to me—we’re a sisterhood that has developed ever since we began college. Deciding to study abroad “together” was one of the best decisions we made because we all came back with new perspectives. 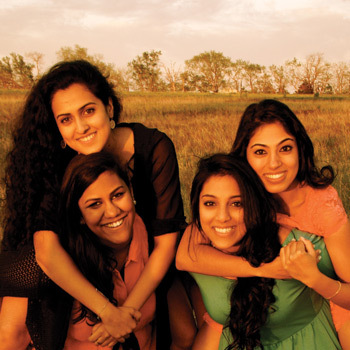 Anjana studied in Cairo, Egypt; Shruti in Oxford, England; and Nagasri in Salamanca, Spain. We explored different areas of academic interest, sought independence in different ways, and reveled in the culture of our respective cities. Afterward, we came back together as a safety net—able to apply our experiences and our new-found attitudes as seniors. This article is a small ode to them because they added the spice to my college life that I never expected to find. In my four years at Austin College, I was able to do everything I had wanted to do at a big school. I met people from all walks of life and learned the ease of striking up a conversation without turning away shyly. I was challenged and grew to consider a larger vision for myself. I learned how to become a leader as a team player and enjoyed the delight in knowing I had put a smile on someone’s face. I’ll be honest with you. I’ve complained about how small this school is and how there’s nothing to do in Sherman. But I was wrong. There was always plenty to do in the form of experience—versus the mindset of going for the materialistic nuances in life. As I embark on “life after college,” I am challenged to savor the experiences that come to me and to enjoy the simplicity of what I have now. Surely life after college will be an adventure of different sorts—but I couldn’t be prepared better. Photos by Shukan Patel ’12. I decided when I was very young that I wanted to become a lawyer so I could right some of the wrongs of this world. I had no idea that my college education would prepare me so well for that goal. My experiences at Austin College opened my eyes to many things and cemented my desire to enter the legal profession. During my freshman Communication/Inquiry seminar, “The Holocaust in Social and Cultural Context,” I began to understand how vital and pervasive the law is in so many aspects of our society. Because of this class, I also fell in love with sociology. I have been able to complete majors in both political science and sociology and a minor in history; Austin College has given me a truly liberal arts education. The value of my experiences of the past four years did not end at graduation with receiving my diploma. Austin College equips its students, who take advantage of the opportunities here, to understand the world as it is and why it is that way—and also to imagine what it could be. My desire to help people and to contribute something meaningful to our world only was strengthened by my experiences at Austin College. During my freshman year, I joined the Pre-Law Society, and as a senior, I served as co-president of the group. Every year, the Pre-Law Society hosts an array of guest speakers. This year, our speakers included a district judge, an in-house counselor, an assistant district attorney, attorneys from major Dallas law firms—and the Texas Court of Criminal Appeals and the Supreme Court of Texas. These events were incredibly informative for the entire community but were even more important for students like me who want to enter the legal profession and understand our state’s legal system. These events offered wonderful opportunities to network with alumni and friends of Austin College, and by following up on those connections I was very fortunate to secure two very different internships. During summer 2011, I interned with Judge Jim Jordan, an Austin College 1974 alumnus, in Dallas. I observed in criminal, civil, and family court sessions, took notes on various cases, and discussed the legal issues with Judge Jordan. After the internship, I had a much greater understanding of courtroom procedures, professional etiquette, and our legal system as a whole. Beginning in May 2012, I interned at Reba’s Ranch House, a local non-profit organization and a project of the Texoma Health Foundation in Denison, Texas. Reba’s Ranch House is a home-away-from-home for families from out of town with loved ones in area hospitals or rehabilitation centers. Though not directly connected to the legal profession, this was my most meaningful internship because of the organization’s direct, positive impact. I hope to continue working with non-profit organizations throughout my legal career. Research and writing are major parts of a legal education and career, and I feel well-prepared for those challenges. 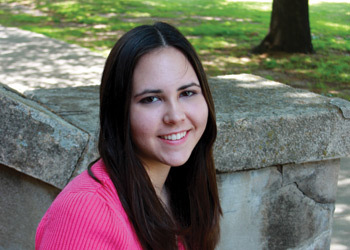 Most courses at Austin College are reading- and writing-intensive, and students have numerous opportunities to conduct individual research projects. In April, I completed my senior honors thesis in sociology, “Professors and Personal Time: Professional Autonomy and the Right to Family Leave in Academia.” Because of rights such as tenure, academic freedom, and faculty governance, college faculty enjoy a relatively high level of professional autonomy, but I wondered whether that professional autonomy enabled them to balance their personal and professional obligations. I interview tenured and tenure-track faculty at bachelor degree-granting institutions who had qualified for family leave within the last three years to discover the workplace features that impacted their decisions to take family leave or not, and how those features related to their professional autonomy. I learned much about the academic work environment, as well as the challenges and rewards of research itself. Upon completion, I had the opportunity to present my research results at the annual meeting of the Southern Sociological Society. Through this research, I became very interested in labor issues. This fall, I will begin law school at Texas Tech University where I plan to concentrate in mediation and labor law. As an attorney, I hope I can help people and, as I dreamed as a young girl, right some wrongs in this world. I will always be grateful for the opportunities I had at Austin College that made that possible.